I offer a free wordpress theme. 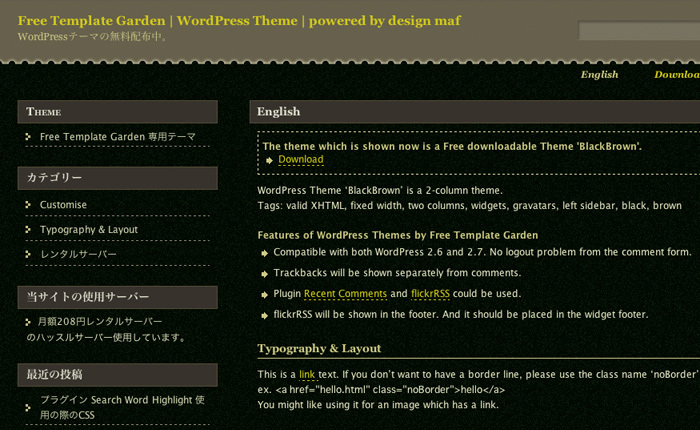 You can download from the Free Themes official WordPress theme directory. It’s released by design maf under the GNU General Public License (GPL) version 3.